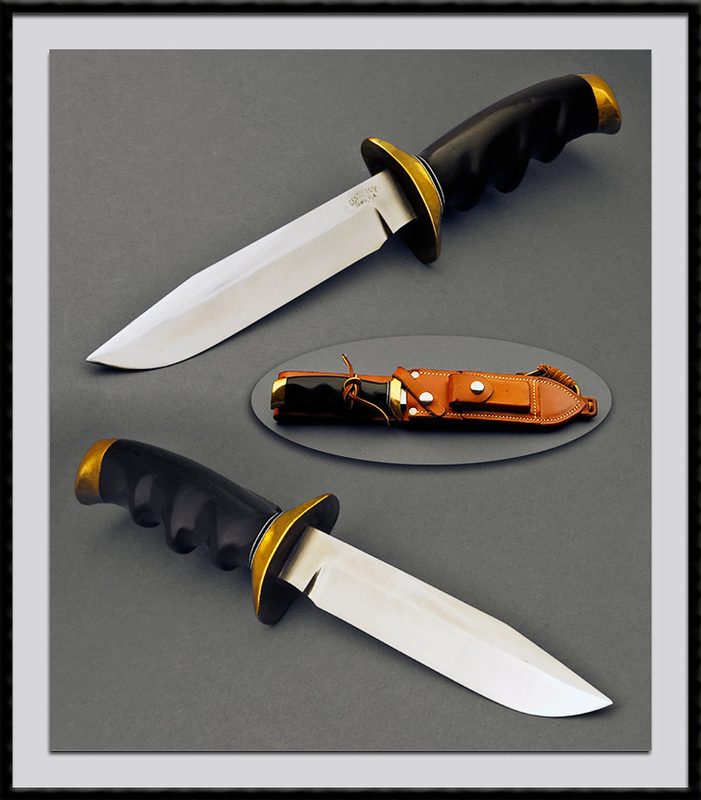 Frank Centofante former member of the Knife Makers Guild crafted this Fighter. 440C blade steel, BL = 6", OAL = 11", Brass guard, Wood handle. Made in the 1970's.